If a productive garden is just as important to you as a beautiful garden, why not add tea herbs to your inventory? Chamomile, spearmint, and lemon balm are some easy plants to start your tea garden with, while more advanced tea enthusiasts can try their hand at Camellia sinensis and Yerba Mate. Chamomile, one of the world's most popular herbs, makes a great tasting tea and is so easy to grow. Chamomile is naturally caffeine-free and has a distinctively apple-like flavor. In fact, 'chamomile' stems from the Greek word for "ground apple" . Chamomile is used to alleviate the common cold, relieve inflammation from arthritis to toothaches, soothe stress and anxiety, and to help induce sleep . 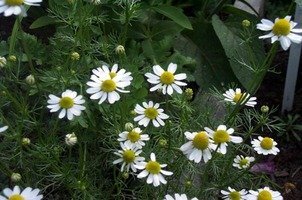 To grow Chamomile successfully, you need a full sun spot with well draining soil. This annual will grow up to 2 feet tall and can withstand dry spells and less-than-perfect soil. Start by picking a handful of the white and yellow daisy-like flowers (before they go to seed). Wash them off to remove any dirt particles or insects, shake off any excess water, and set in a safe, dry location and allow to dry out. You can place them in a very low heat oven or food dehydrator to speed up the process . To make a tea, steep 2 teaspoons of dried flowers in 1 cup of boiling water for 10 minutes. You can use a metal tea ball or strain the flower particles through cheesecloth/fine strainer when it is ready. Chamomile flowers can be steeped with other ingredients in this article for a blended tea concoction. Chamomile flowers also make an excellent addition to salads or as edible garnishes. 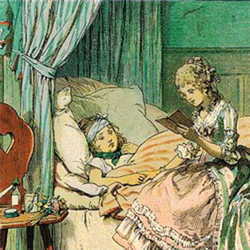 Chamomile can also be used in the bath for relaxation and as a cold remedy. 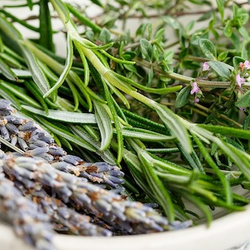 Use ½ to 1 cup fresh or dried herb tied in linen bag. Place in tub with hot water let soak for 10 minutes then add cold water to the temperature you like. Do not add soap to bath, as it will coat your skin and not allow the Chamomile to penetrate . Yerba Mate (pronounced YEAR-ba MAW-tay) makes a tea called 'mate' that can be used as a stimulant similar to coffee, but much easier on the stomach. Yerba Mate is mainly cultivated in South America and distributed in tea bags across the world. Branches of the Yerba Mate plant are often dried over a wood fire, which imparts a smoky flavor to brews made from it. When you drink a glass of iced tea or even a cup of hot green tea, you're imbibing Camellia sinensis, the common tea plant. Green tea, white tea, oolong tea, and black tea all come from the same plant. 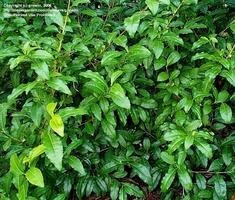 The tea plant can be grown as a perennial in Zones 6 to 9 in fertile, slightly acidic soil that needs to stay evenly moist with full to partial sun. 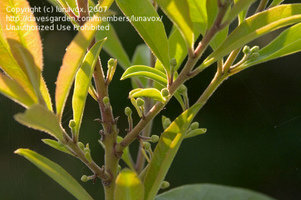 It is actually a shrub which can grow up to 8 feet high. If you have the right conditions, which need to mimic its native Asian highlands with cool, moist air, you can successfully grow your own Tea Plant . To make the different kind of teas, recipes abound online and in books, but each have their own necessary technique. Lemon balm is used to make teas that are soothing to the digestive system and helps with mild insomnia and anxiety. 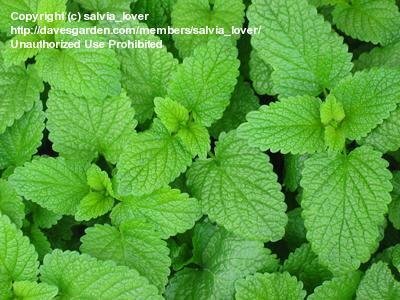 Lemon balm is very easy to grow in the home garden and is hardy to zone 4. It requires full sun and can tolerate many different kinds of soil and can even work as a xeric plant; some might even say it is invasive along the lines of its cousin, mint. To brew a cup of lemon balm tea, steep 2 tablespoons of fresh leaves (or 1 heaping tablespoon of dried leaves) in a cup of boiling water. A sun tea can also be made by placing the herbs in cold water in a covered container in the sun for several hours (8). The leaves of lemon balm make a nice addition to salads and as a garnish to fish dishes. Rose hips make an excellent citrusy, tangy tea when brewed. Rose hips form at the base of rose flowers on rose plants, growing especially large and tasty on Rosa rugosa varieties. Allow roses to die naturally on the stem by not deadheading. As the hips form, they start out green, turn yellow and eventually ripen to a bright red usually after the year's first frost which is when you should harvest them . Rose hips are an excellent source of Vitamin C, pound for pound better than oranges. 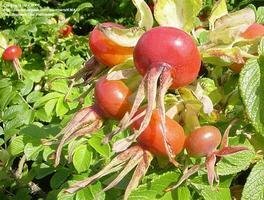 Rose hip tea is said to be a cure for bladder infections, headaches and dizziness and also provide a good amount of Vitamins A, D and E along with antioxidants. To brew a fresh cup of rose hip tea, you'll need 5 rose hips per cup of water. Cut the hips in half and steep for at least 10 minutes and then strain . 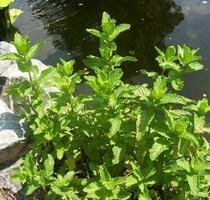 Mint provides an excellent stand-alone flavor as well as a good kick for other teas. All kinds of mint from the Mentha genus, such as Orange bergamot, spearmint and peppermint, are exceptional herbs for tea brewing. Most people find mint hard notto grow, so this is a great "grow-your-own-tea" choice. 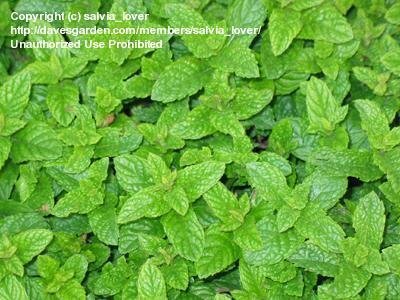 Because it can be very invasive, even in colder climates where it is hardy to Zone 3, it is probably best to grow mint in a container. To brew an awakening cup of mint tea, use 1 to 2 tablespoons of coarsely chopped pre-washed mint leaves and pour 4 to 6 ounces of hot water over them in your tea cup. Steep for up to 5 minutes for a concentrated tea and strain through a fine sieve or coffee filter. 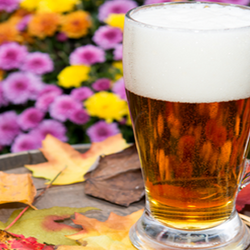 You can add more hot water to taste or add ice for a crisp, cooling summer beverage. If you want mint to be a secondary flavor to another tea such as green or chamomile, follow the directions for steeping of the other tea and add in 1 tablespoon of fresh mint leaves and strain as necessary . 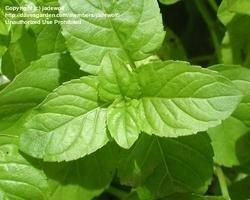 Spearmint tea is widely used as a cure for stomach aches and has recently been researched as a remedy for hirsutism (excessive hair growth in women) . Peppermint tea can be used as a tonic for indigestion and other digestion problems such as Irritable Bowel Syndrome, menstrual cramps, colds, and tension headaches . Mint also comes in different flavors such as orange, chocolate, apple and lemon. Each of these makes an excellent brew with a slightly different tinge of flavor. As with any herbal remedies, please do not substitute this article's information for a doctor's advice. Please do your own research or consult with a physician before beginning any herbal treatment. This article is strictly meant to inform you about how you can grow your own teas at home.